« Let's Meet our New Ravens, Shall We? 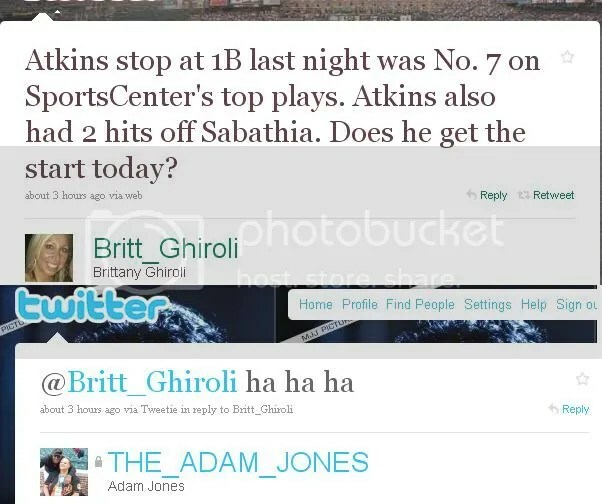 When O’s beat reporter Brittany Ghiroli asked if Fatkins had earned another start, AJ was pretty clear on his feelings. Man, the guy is finally hitting his weight, and already he’s making lineup decisions. This entry was posted on May 4, 2010 at 2:43 pm and is filed under Hating, Humor, Orioles. You can follow any responses to this entry through the RSS 2.0 feed. You can leave a response, or trackback from your own site.